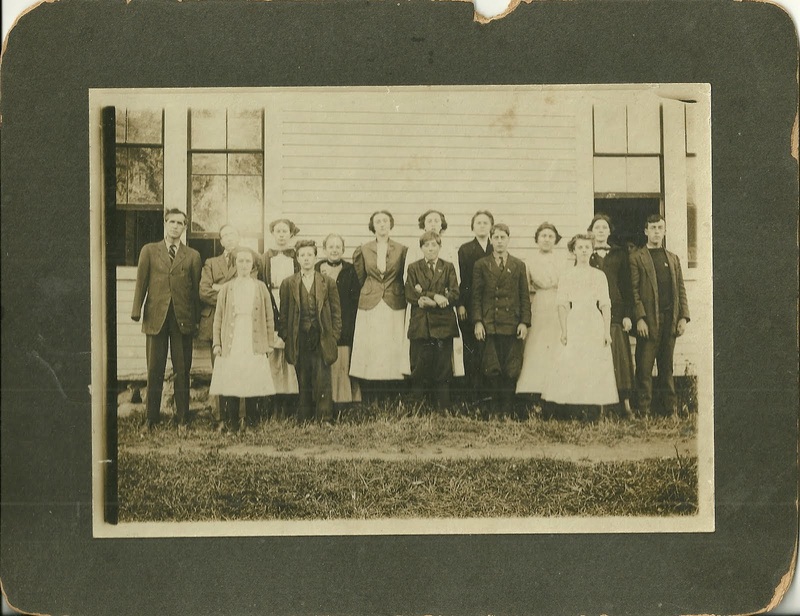 Assuming I've correctly interpreted the identification key to a group photograph of teacher and students at Surry High School, at Surry, Maine, the young lady above is Athol M. Kane. She's shown as Ethel Kane on the key. There's possibly another Kane in the photograph, tentatively identified as Kane ? The photograph was taken by Guy Linwood Carter of the Photo Shop at Blue Hill, Maine. 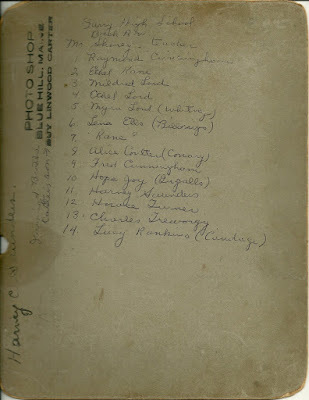 See another post that features the group photograph and the identification key. Athol M. Kane was born on July 8, 1897 at Surry, Maine, the daughter of Walter and Susan E. (Trundy) Kane. 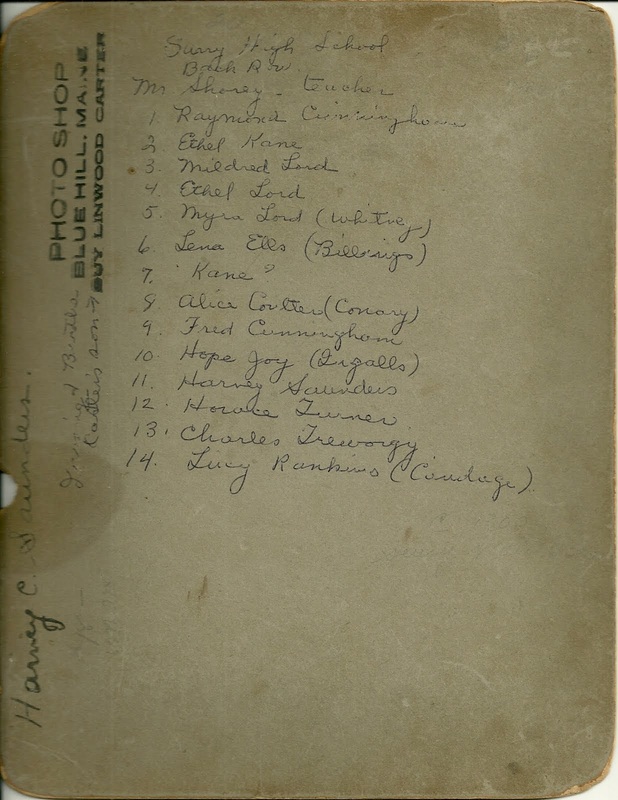 On December 22, 1917, Athol married Howe Duane Higgins, son of Fenelon B. and Addie L. (Mayo) Higgins. They apparently lived on Mount Desert Island most, if not all, of their married life. I didn't find records for children for them, but there could have been. Athol died in 1995; her husband had predeceased her in 1974. They're buried at Mount Height Cemetery at Southwest Harbor, Maine, on Mount Desert Island.